We think our favorite recurring “Simpsons” characters would love these six custom-picked colleges. Springfield is in a state which is bordered Ohio, Nevada, Maine, and Kentucky. Good luck figuring that one out! We love watching “The Simpsons,” and since we’re a little college-obsessed, we also love imagining which schools our favorite characters would attend. We’ve already chosen some pretty great colleges for the members of the Simpson family; now let’s pick out some stellar options for our favorite recurring characters. After all, secondary characters deserve a chance at higher education too, right? Mr. Burns spent time working as a biochemist before becoming the hugely wealthy owner and manager of Springfield Nuclear Power Plant. Majoring in biochemistry certainly makes sense for such a money-driven man -- Forbes named biochemistry the second-most valuable college major because of the high-paying jobs students land after graduating. University of California, San Diego has one of the most popular biochemistry programs in the country, and we could totally see Mr. Burns building himself an elaborate multi-storied mansion on the California coast. Montgomery Burns was originally intended to be an occasional villain who would make brief cameos into the Simpsons' lives, but due to his popularity, he became a major character. Krusty the Clown, a burnt-out entertainer and comedian who’s done every drug on the planet (and then some), needs a school that meets his very particular needs. We think Boston-based Emerson College fits the bill. The school ranked on Princeton Review’s list of colleges where marijuana runs rampant, and it’s known for having a hand in the entertainment industry, particularly when it comes to comedy. There are several comedy troupes on campus, as well as courses in both sketch and stand-up comedy, and alums include comedians like Denis Leary, Jay Leno and David Cross. Krusty the Clown was purposefully designed to resemble Homer. Nelson Muntz, the most ruthless bully at Springfield Elementary, is good at more than just doling out wedgies. He shines in two particular areas: scoring touchdowns as the quarterback of the pee-wee football team and representing Japan in the school’s Model UN club. We think he’d love Stanford University for their well-known Division 1 football team and their prestigious program in international relations, ranked third in the country by Foreign Policy. Given Nelson's on-again, off-again romance with Lisa Simpson, we wonder if Lisa would consider transferring. 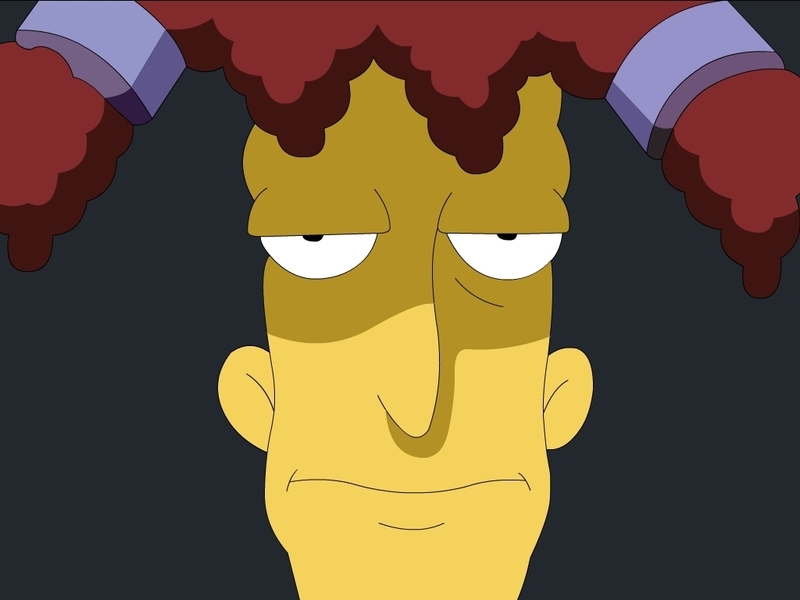 Though it's implied in "The Simpsons" that Sideshow Bob (AKA Robert Terwilliger) graduated from Yale School of Drama, we think he would have enjoy completing his undergraduate degree at Auburn University. Not only does the school offer a Radio, TV and Film program that focuses on performance and the arts; it was also named the most conservative school in the country by Princeton Review. Sideshow Bob is a famous republican, after all. Though a graduate of the famed Yale School of Drama, Sideshow Bob got his big break as Krusty the Clown's sidekick. Throughout the series, Lunchlady Doris serves as both the school lunch lady and the school nurse. We think she’d fit right in at the University of Massachusetts, Amherst, which has a large nursing program with several tracks, not to mention some famously tasty dining hall food (the third most delicious in the country according to the Princeton Review). Lunchlady Doris is Springfield Elementary School's nurse, lunch lady and mail carrier. Talk about a marketable skill set! 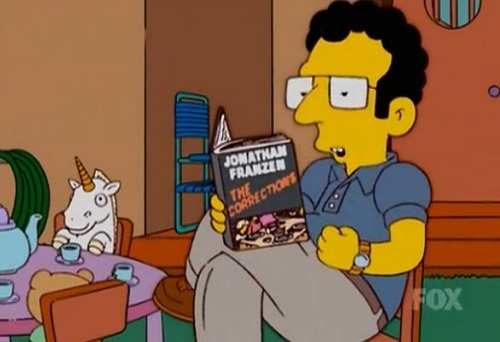 A true entrepreneur at heart, Artie Ziff became wealthy after starting his software company Ziffcorp, where he invented a device that could turn noise from the outside world into music. We think the entrepreneurship program at Babson College would be perfect for him; it was named the best in the country by Princeton Review, and many graduates have gone on to start successful companies like Home Depot and Accenture. We wonder if Ziff's smarts have anything to do with him being a Babson alumni. Now, if only we could get the “Simpsons” writers to incorporate our suggestions into future episodes!